1. Use a moist matchstick to plant your seeds. Pour your seeds into a flat container. The moistened stick will pick up one seed at a time and you can easily drop your seed into the hole. 2. Make your own seed tape using paper towels strips and cornstarch moistened with water for glue. Dot the cornstarch mixture onto the paper towel and drop in your seed (using your moistened matchstick). Let dry and roll up. Store in plastic bags until ready to plant. 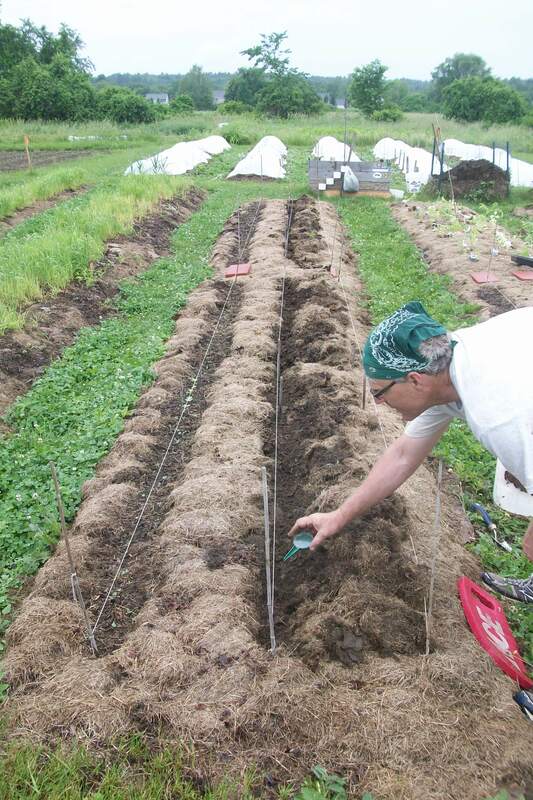 Seed tape eliminates seed waste and gives you super tidy rows! 3. 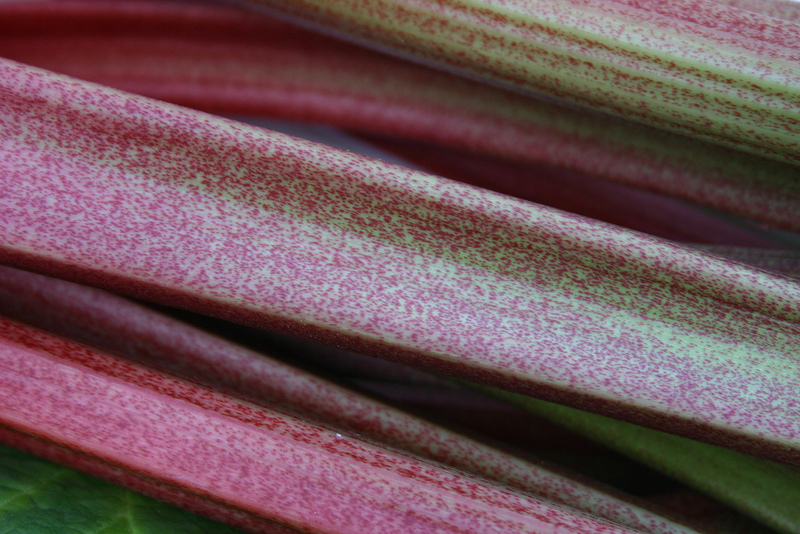 Use only fresh seed for shallots, leeks, onions and parsnips. Seeds for these veggies last only one year. 4. Some seeds last several years. If you are unsure if your seed is still good, give it a test. Moisten a paper towel, sprinkle on 10 seeds and roll it up. Store in a plastic bag for a few days. Check the seed to see if any germinated. If so, you have a good idea of your germination rate. For instance, if five of ten seeds germinate, then you can count on a 50% germination rate for your old seeds. 5. New seedlings need air circulation. 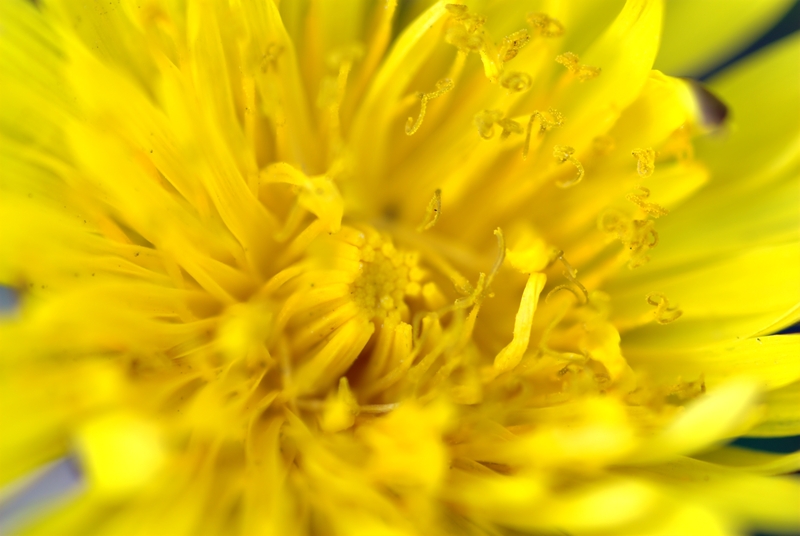 The air moves their stems slightly which makes them stronger. Keep a low fan going in the room where you are growing the seedlings. In addition, you can help your plants by “petting” them once or twice a day by gently running your palms over the tops of the plants so them move back and forth a bit. Also, keep rotating your trays so they keep leaning in different directions towards the sun or light source. 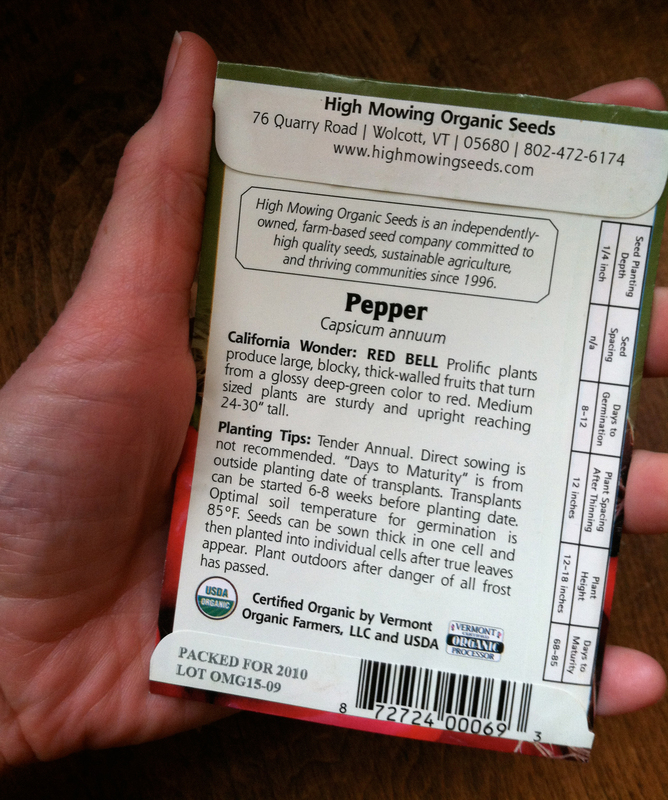 FOR YOUR REFERENCE: We handed out a flyer on Seed Starting that one of our gardeners, Steve Abbott, made up a couple of years back. We also included a flyer on local Planting Dates made up by Beth McQuinn. • Juliet is Laura’s favorite tomato. It is a small oval shaped tomato like a paste tomato, but not fleshy. It cooks down well into sauces, tastes good sliced up and dries well in the dehydrator. It is a great tomato for roasting in the oven. The plants are very prolific and bear tons of fruit throughout the season. • Claudia loves her Garden Peach tomato. It is a small, yellow tomato that has a velvety skin much like a peach! It is a low-acid paste tomato that is blight resistant . The best thing about the Garden Peach is it’s beauty, it’s simply gorgeous! Claudia also made a pitch for the heirloom, Cherokee Purple because of it’s beautiful purple color and great, rich taste. • Steve enjoys his German Johnson heirloom tomatoes because they rarely split before you are ready to pick them. • Nikki claims that Brandywine heirlooms are scrumptious and her personal favorite. •Everyone agreed that no cherry tomato tops Sun Gold. 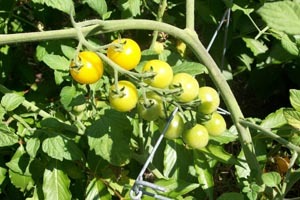 Sungold tomatoes were developed at UNH at the Kingman Farm. Claudia dries her Sun Golds by simply cutting them in half and putting them in the dehydrator. They dry down to wafer-thin disks that are crunchy and taste like tomato candy. Simply amazing! • Nikki plants her tomatoes very deep. She digs down about 1 1/2′ and puts a quart of composted manure at the bottom of the hole. She takes off side leaves and plants the tomato as deep as she can leaving a few leaves above ground. The tomato will make roots all along its buried stem. • Steve takes some chicken wire or hardware cloth and makes a circular cage. He puts rotted horse manure in the cage and then plants tomato plants around the perimeter of the cage. He waters the manure and the water washes down through the manure to water the tomatoes and fertilize them at the same time. Unfortunately, there are so many tomato diseases that it was hard to pinpoint any one treatment for a particular disease. However, we did come up with a strategy for combating diseases. 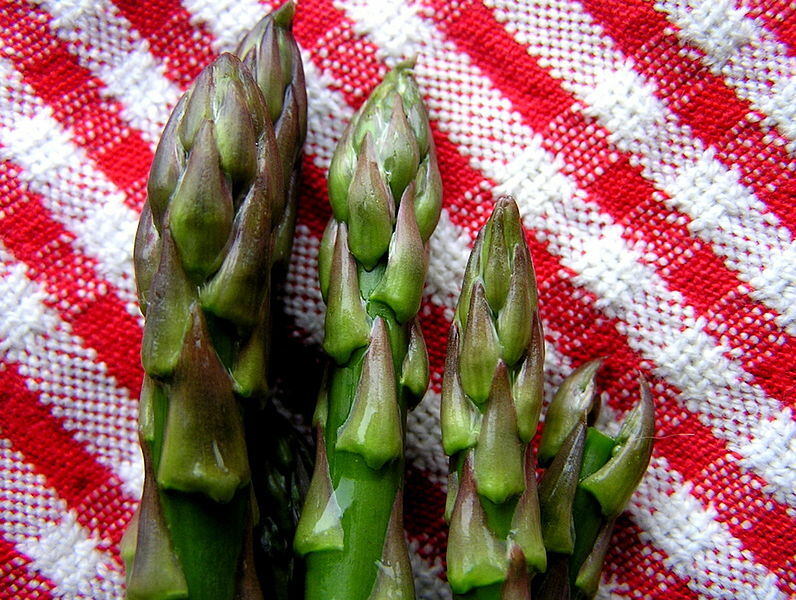 First, at the first sign of any sort of disease on the plant, cut off the bad parts and throw the diseased parts away (do NOT compost). If you think you have blight, then spray the plants with a copper fungicide. If the tomatoes seem to be rotting before ripening, then pick them at the first hint of red. They will ripen up on their own. 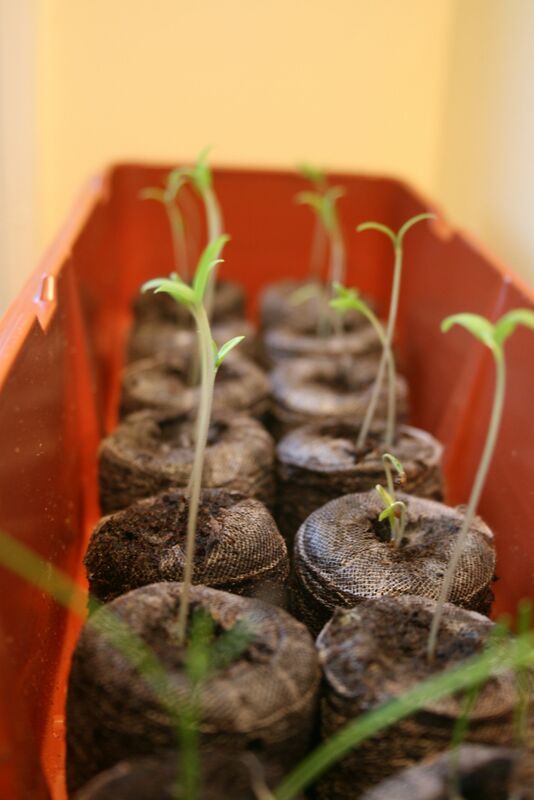 Next year, plant your tomatoes in a new spot. That helps lessen diseases from being spread year to year. – Lorna doesn’t have much time to process her tomatoes during the summer so she simply throws them whole into big plastic bags and puts them in the freezer. Then, in the cooler weather, she just pulls out the tomatoes and let’s them defrost a bit. The skins slip right off and she can make a sauce or throw them into soups and stews. Easy! An easy way to process a ton of tomatoes without heating up your kitchen or slaving over the stove all day! 1. Saute one onion and two or three garlic cloves until soft. Put into the crockpot. 2. Deglaze pan with about a half a cup of water and add to crockpot. 3. Cut tomatoes in half. Squeeze out seeds. No need to peel. Throw into crockpot until crockpot is full or you have run out of tomatoes. 4. Optional: Add in diced carrots. Two or three. 5. Cook all day. Puree sauce with a stick blender or regular blender. Add salt and pepper to taste. If you like a sweeter sauce, add in a touch of brown sugar. 6. Freeze. This is a good basic tomato sauce to use as a base for your winter recipes. So there you have it! Lot’s of “Tomato Wisdom” shared with the group. Collectively, we all learned something new! 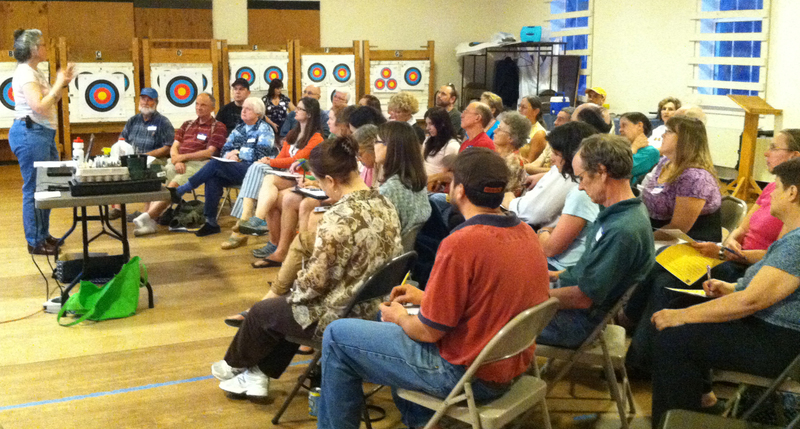 Our meeting in June was chock full of unique tips from the Capital City Organic Gardeners. Instead of having a speaker come and talk on one topic, CCOG gardeners shared their favorite gardening tips with the group. This is what creating community is all about, we all learn from each other and come away richer from our experience. So, without further ado, here is what we learned! Joining the conduit at the corners. Eleanor had problems in the past with her delicate pea fences being blown over in the wind, so she decided to build a sturdy pea fence that was inexpensive and easy to disassemble at the end of the season. For about $10 she was able to buy the following materials: Two short lengths of Rebar (2′ by 1/2″), 1/2″ electrical conduit (store will cut pipe to size), two 1/2″ conduit corner connectors, and string. She simply hammered the rebar into the ground about a foot leaving a foot above the ground. 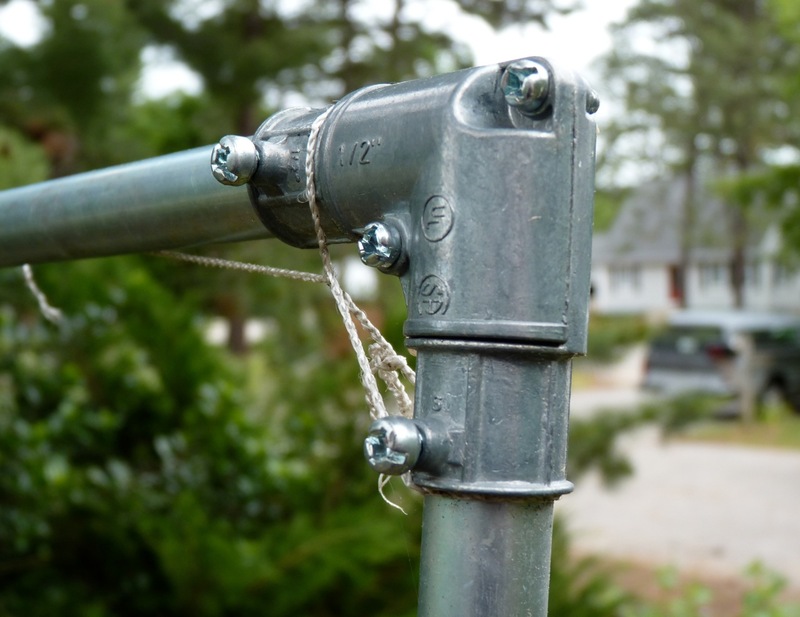 Then, she placed the conduit over the rebar, joined the top bar with the conduit corners and then wove the string to make a trellis. 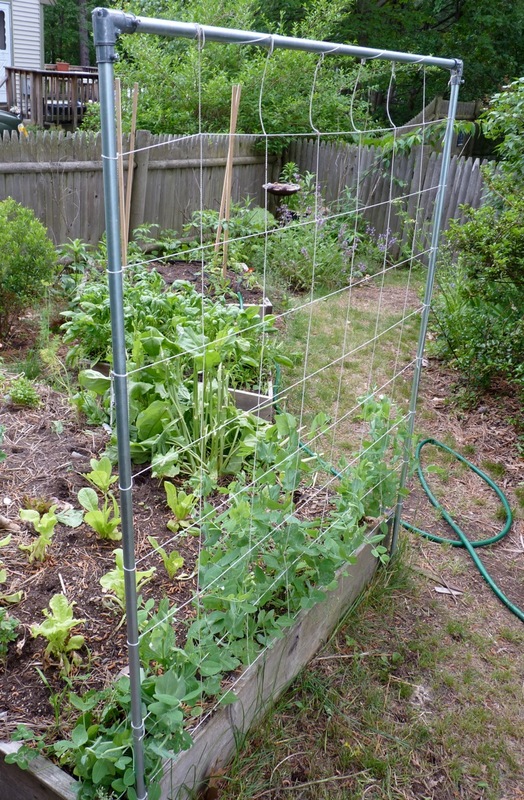 This trellis design will NOT blow down in the wind, is easy to move and is sturdy enough for all sorts of vegetables. Eleanor also designed a beautiful wattle fence to separate her yard from her neighbor’s driveway. It is about 2′ high and the only materials she purchased were 3′ the stakes she hammered about 1′ into the ground. She then wove green branches she cut from trimming shrubs around her yard. In the end, she had to get branches from friends to finish the fence, but the end result is inexpensive, lovely and should last for several years. Judy's raised beds early in the season. Judy took the No Till Gardening lecture that Dot Perkins gave last year to heart and redid all of her vegetable beds out at the community garden. She dug out the paths and used tha soil to make the raised beds. She uses straw in the aisles and landscape fabric in the paths to cut down on the weeds. No Till gardening is also know as Lasagna Gardening. This method gave Judy a great start on the season. Judy also constructed a very study pea trellis as well. She designed her trellis as a box structure so that it won’t topple in the wind. Like Eleanor’s trellis, it is also easy to take apart at the end of the season. Removable pegs at the top hold it together. Scott's long rows between grassy paths. Scott also showed off his No Till garden beds. His method used only three layers. First, he dug out the paths and made the raised beds. Next, he covered the beds with corragated cardboard or six layers of newspaper. Then he added about 3″ of chopped up leaves and topped it off with 6-8″ of grass clippings. The end result was hardly any weeds coming through in the spring, which is a HUGE accomplishment in the community garden where weeds run rampant. To plant, he simply teases back the top layers until he hits soil and then plants his seeds or seedlings. He planted grass and clover in the paths and when he mows, he catches the clippings and puts them back on top of the garden beds. 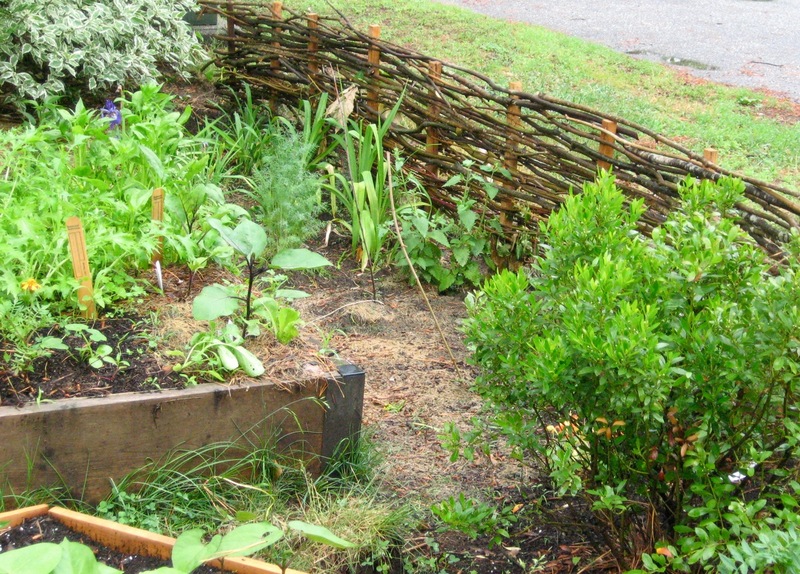 This is a great example of using permaculture methods for gardening. Nothing goes to waste. Pulling the top layers away for planting. John shared with us an invention he is working on to measure conductivity in the soil. Good electrical conductivity indicates good soil conditions for healthier plants, bad conductivity indicates poor soil quality. It was exciting to see his work in progress and discuss its potential for helping farmers and gardeners determine their soil needs in and instant. Rabbits: Not only super cute but helpful in the garden as well! Claudia brought her rabbits, Waffle and Nudge. (Unfortunately, Nudge would not stay still for a photo op, so Waffle is the star of this post! ) Rabbits make great pets but, contrary to their reputation, they are also very helpful in the garden. Their manure is a fantastic fertilizer. 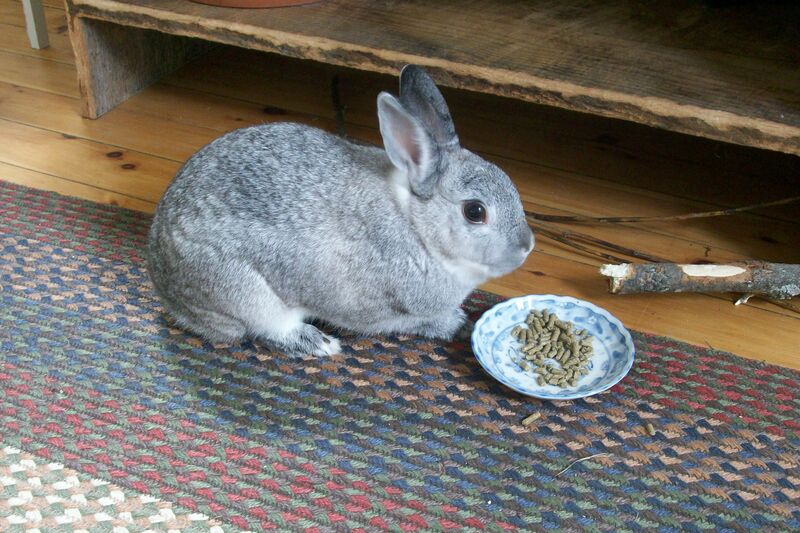 One rabbit can produce enough fertilizer for 500 square feet of garden. Rabbit manure is a “cold” manure and will not burn your plants if you put it directly in the garden. It’s pellets are more like slow time-release fertilizer. Opinions are mixed as to whether you should let rabbit manure compost first before putting it in the garden. 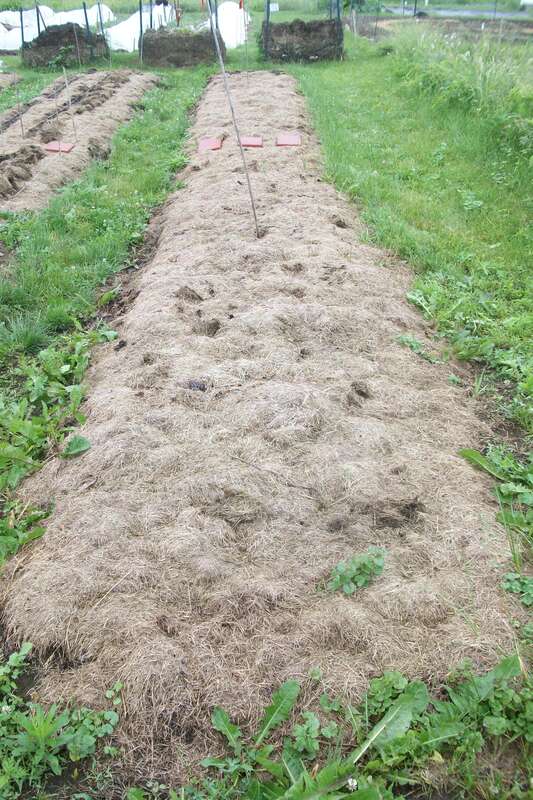 If you are uncertain, then compost the manure first before spreading it in your vegetable beds. 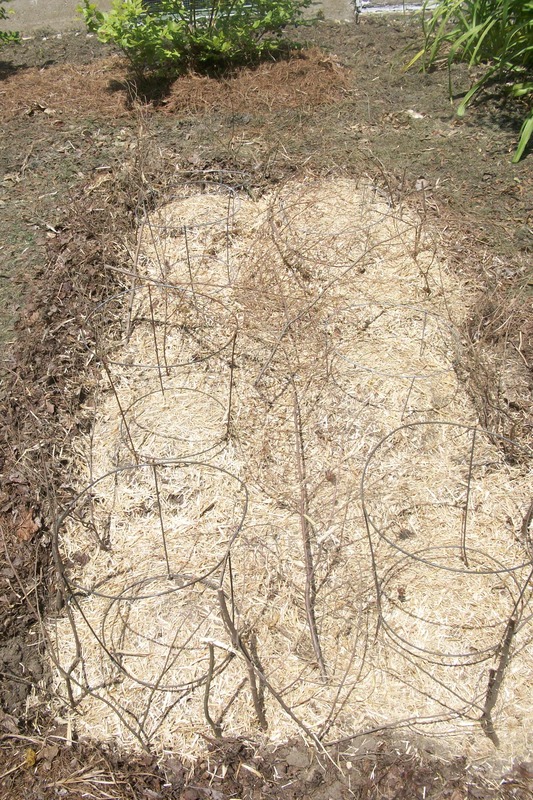 Here is a link to more information about rabbit manure in the garden. Voles are NOT our friends! You need a box and a mousetrap. Get a box and cut little doors on all four sides. Next, get a simple mousetrap. 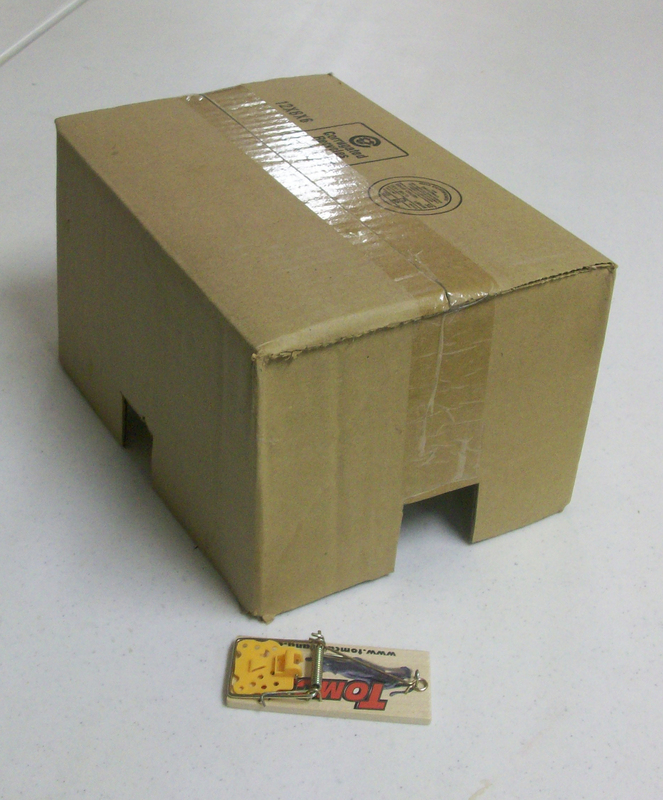 Put the mousetrap inside of the box, no need for bait. Put it in your garden (your potato patch might be a good place). Place a rock on top so it won’t blow away and check daily. Voles are curious creatures and love to get into small little spaces. They explore the mousetrap and, unfortunately, meet their maker. If you are squeemish about killing the vole, then you could try a Have a Heart trap, but just don’t release them anywhere near our gardens! Laura does have a reliable cat that takes care of the voles, but her issue is what to do with the cat? Her cat loves to languish in the garden, especially on a newly seeded bed. The soil is so soft and nicely raked, what cat can resist such a pleasure? Laura has devised several methods that work well to deter the cat. Tomato Cages and Branches over and around hills of squash seeds. First, she had collected tomato cages over the years and had her husband clip them apart into short cages or simply rings with little legs attached. She places these over the seeded areas and leaves them there until the plants have grown large. At that point, the cat does not damage the plants. Also, for added protection, she often clips small dryed out branches from her hemlock trees and sticks them in the bed as well. The cat doesn’t like the scratchy branches. Hardware cloth cage deterd cat, eggshells deter slugs, Remay protects from sun. 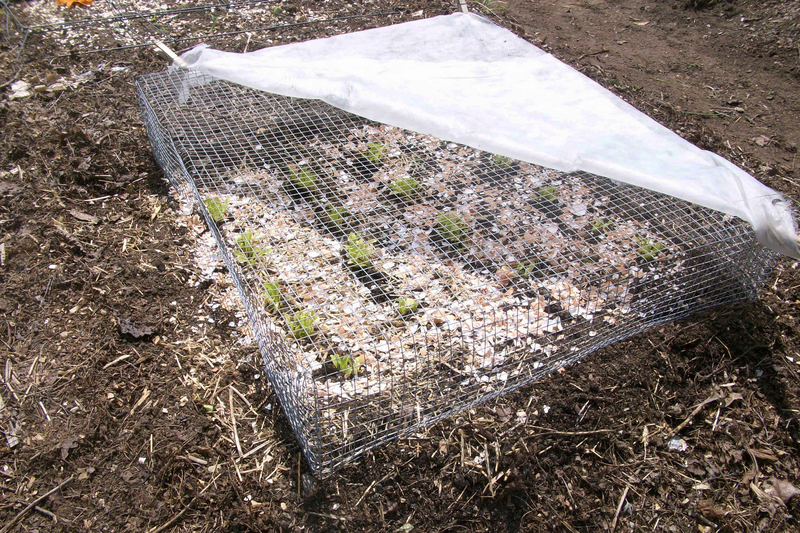 Another method she uses is to create an actual cage out of hardware cloth to place over the seeded beds. In this photo you can see that she made a small cage to place over her lettuce seeds. She has also sprinkled a layer of crushed eggshells over the seeds to help deter slugs. Slugs don’t like the sharp edges. The cage method also is nice because she can attach a small square of Remay fabric over the top to create a little bit of shade for the tender lettuce seeds. So there you have it! In one meeting we learned about how to make inexpensive trellises and create wattle fences. 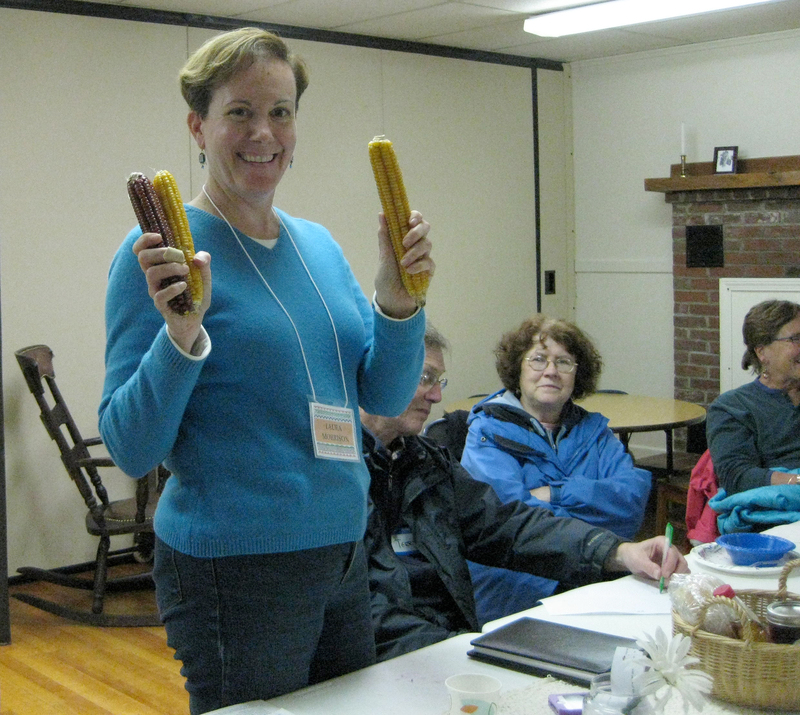 We saw the result of two member’s experiences with No Till gardening. We were able to oogle over two adorable rabbits and learn how they can help us in the garden. Vole catching adventures were shared and appreciated. An amazing invention for testing soil was demonstrated. We also learned how to deter lazy cats from messing up your freshly seeded beds in addition to learning a new method for deterring slimy slugs. Not bad for one evening’s presentation! CCOG gardeners turn out to be the greatest resource for the garden! 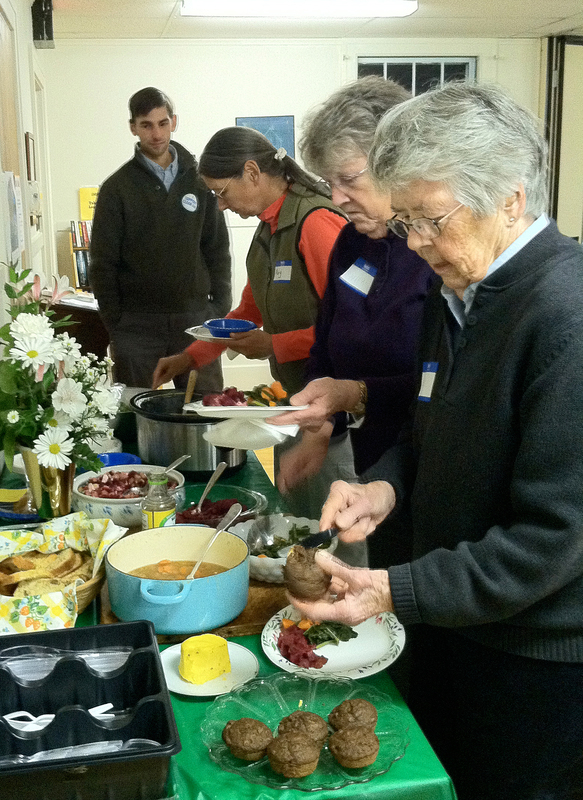 More than 25 gardeners gathered on a cold, rainy May evening to learn about companion planting, share ideas and talk about the rain over a delicious potluck dinner. 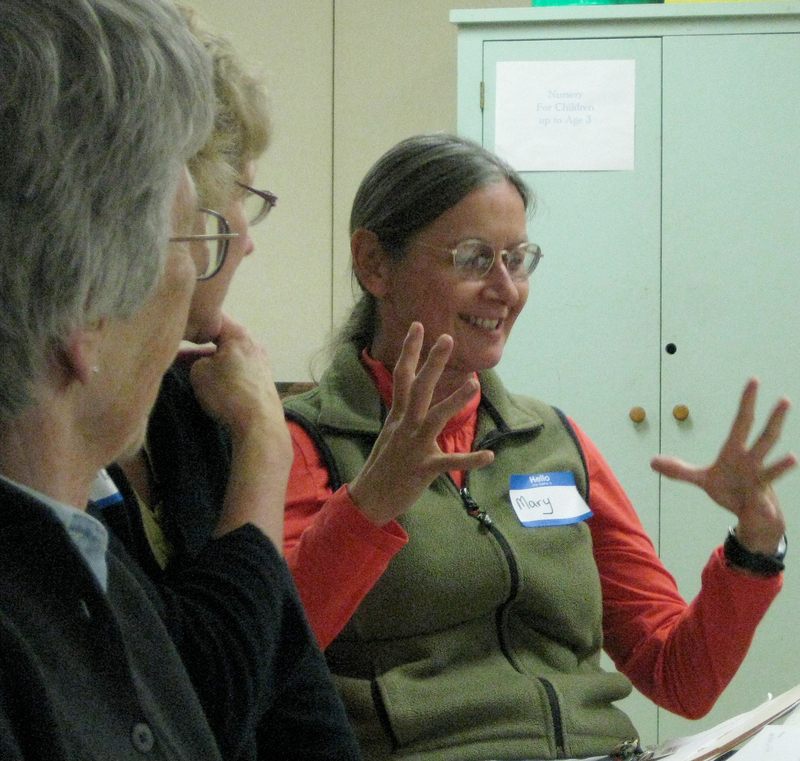 Hope Hutchinson, Master Gardener, presented a program usually presented by Coop Extension Specialist Dot Perkins, interweaving her own garden experiences with Dot’s inspiring slides. 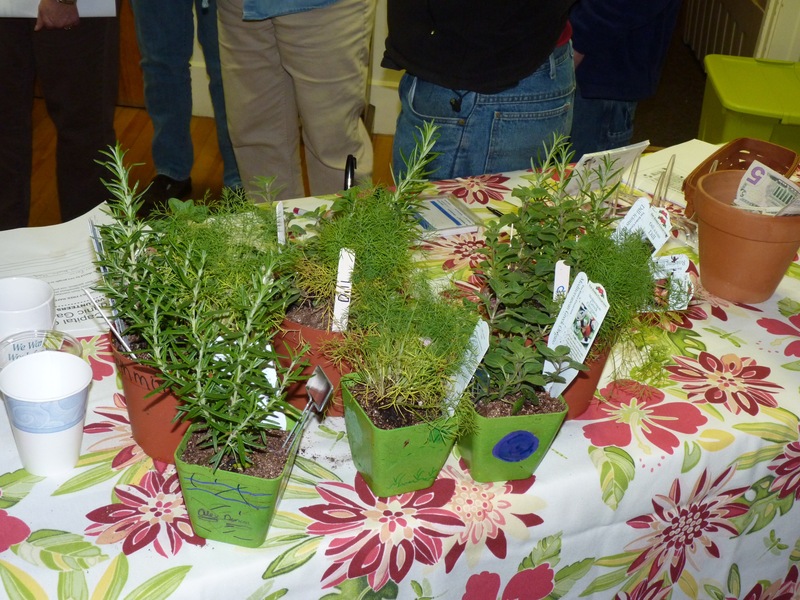 The children decorated and planted their containers with a variety of lovely herbs. Companion planting can be done in simple window boxes, container gardens, roof gardens—you’re practicing companion planting any time you plant plants that complement one another. 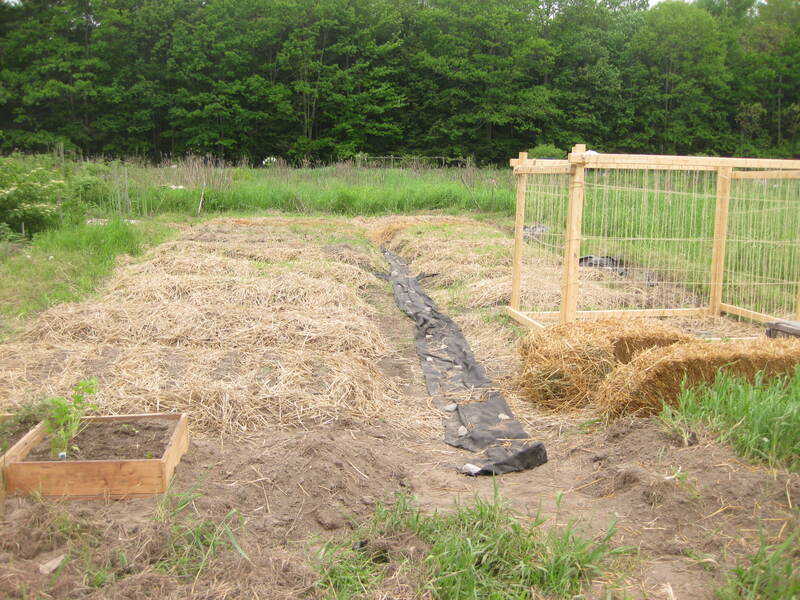 Raised beds are good examples of companion planting. Especially in raised beds and containers, beware of over-planting and ending up with plants competing for space. Hope shared a few combinations for success. • Marigolds, planted with almost anything, are good for repelling insects. • Basil planted around tomatoes works as a natural insect repellent as well. • Carrots work well under-planted by onions, because carrots are deeper. • Onions, carrots, radishes and beets work well together. • Strawberries, spinach, chives and nasturtium all complement one another. • Eggplant, spinach and marigolds are great combinations. • Squash grows well with beans. • Spinach grows well under corn. • Grow nitrogen-feeding sunflowers with nitrogen-fixing beans and both will be happy. Remember, “Not just above, but below.” Plant shallow-rooted plants with deep-rooted or spread-rooted plants. Also think about interspersing shorter plants with taller plants, like broccoli with tomatoes. It’s possible to space plants too widely, keeping them from benefiting each other at all. Fill in the spaces. Every inch of the garden can be covered with something. Even hanging containers can be used to hold herbs and other things. Fruit trees can be planted with companions also. For example, planting strawberries, chard or kale under fruit trees will provide the benefit of a little cool shade in the heat of summer. 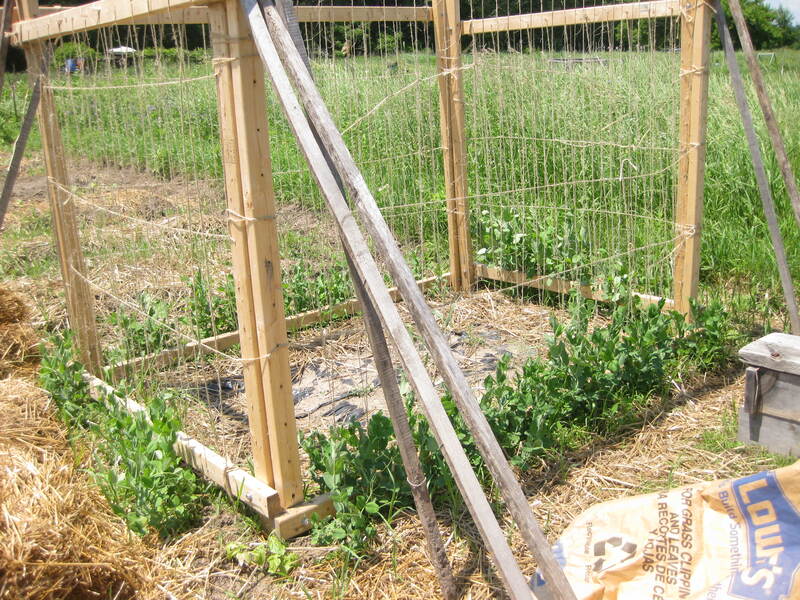 Likewise, a pea trellis can provide shade to cole crops or lettuces. 2. Root systems have to be balanced. Plants with shallow root systems can be interplanted with plants that have deep root systems. Thanks, Hope, for a great presentation. Now, on to gardening and sunnier days! Ann Harrison won the raffle: an assortment of herbal skincare products made by Eleanor Baron. 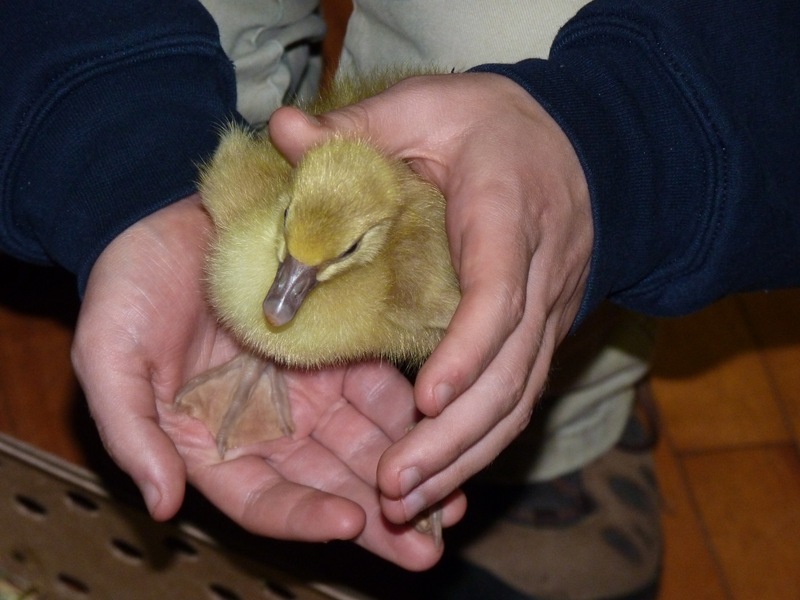 Hope brought in her baby ducklings. Super cute! 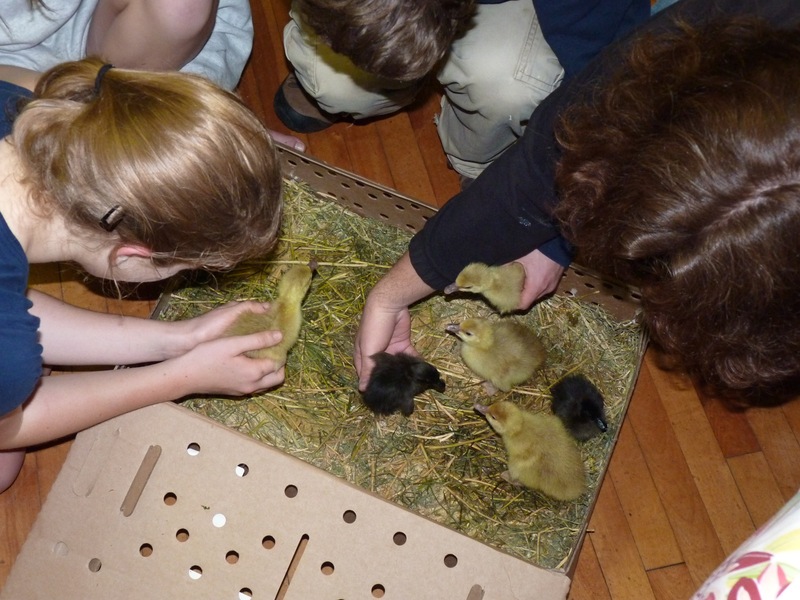 The ducklings were a huge it with everybody! Bring your ideas and homemade solutions, be prepared to share anything and everything for a couple of minutes. We have the knowledge, so let’s share! Pick anything, little or big, and share. 20 seconds to 5 minutes! If you have photos to share, send them to Scott Morrison at ccognh@gmail.com ahead of time and he’ll create a PowerPoint. Share your great stories from the season—good and bad. Let’s have fun sharing the interesting things that happened in our gardens this season. Start planning now and take pictures! We may even have prizes.